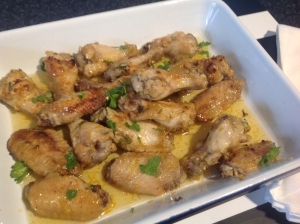 Ask Hot Hubby what his favourite meal is to come out of my kitchen… It’s quite likely he’ll tell you it’s Lemon, Honey and Garlic Chicken Wings. I can’t take any credit whatsover for this recipe, this comes from Cathie Hamilton, of Cathie’s Cuisine. I nabbed this recipe when I went on Cathie’s Spanish Tapas cooking class 18 months ago (don’t get me started on what else we made or how good they were, we’ll all be here all day). I mentioned to Cathie how much we love this recipe and Cathie generously said I could put it on my blog to share with all you lot! Thanks Cathie! This is a fabulous entree/nibble dish when you’ve got visitors and it never fails to impress. I’m pleased this recipe is now here on the blog, as I can refer my dinner guests to this – everyone asks for the recipe! By the way, if you are in Hawke’s Bay and looking to WOW your friends or family with your cooking skills, or even just looking to hone your cooking schools or even expand your recipe collection, definitely consider one of Cathie’s Cooking courses. I did the Spanish Tapas class with Mum (on a Mum and Daughter day out) as well as a Thai Cooking course with a group of colleagues. Both courses were so much fun and I’ve successfully recreated all the dishes many times since. Cathie runs the courses from her own home in Hastings. You spend the afternoon cooking (and giggling) and then at the end of the class you get to sit down and enjoy the meal you’ve lovingly prepared along with a wine. On that note, I really must sign up for her Mexican cooking class. Hmmmm. 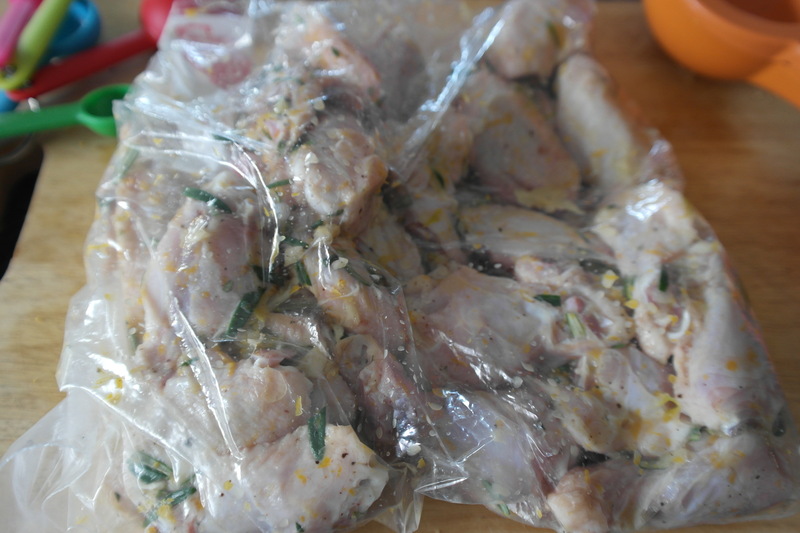 Step 1: Place the chicken wings and all of the ingredients listed in A in a sealable bag (Glad Bag is idea), get all the air out and seal. Massage the marinade into the wings so the marinade gets in to all the nooks and crannies of the chicken. Refrigerate overnight or up to 1 day (the longer, the better…). Step 2: Remove the wings from the marinade (discard the marinade and the bag). Step 3: Preheat the oven to 180°. 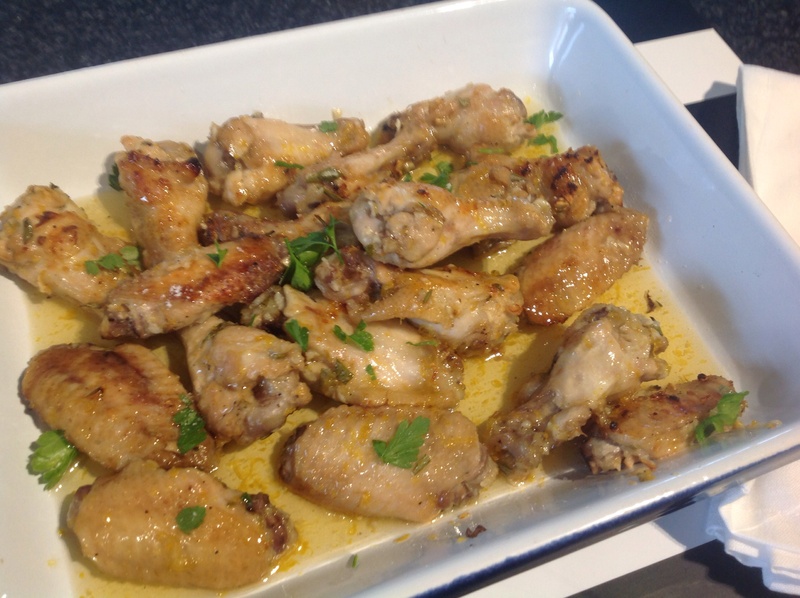 Place the wings in an ovenproof dish just large enough to hold them in a single layer. Bake in a preheated oven for 15 minutes just until the wings are crisp and golden brown on the outside. Then increase the temperature of the oven up to 250°C and continue to bake just until the skin on the wings are crisp and golden brown (this will take approximately another 5-7 minutes). Note: You can also cook the wings over high heat on the BBQ just until they are cooked and the skin is crisp and golden brown (length of time will depend on how hot you have your BBQ, but this’ll take about 10 mins). Step 4: While the wings cook, in a small pan over medium high heat, heat the two ingredients listed in B (honey and lemon). You just want to heat these and bring them to boiling point – then turn the heat off.